Ma ma and the cuzzies came over to spend the morning with us today. 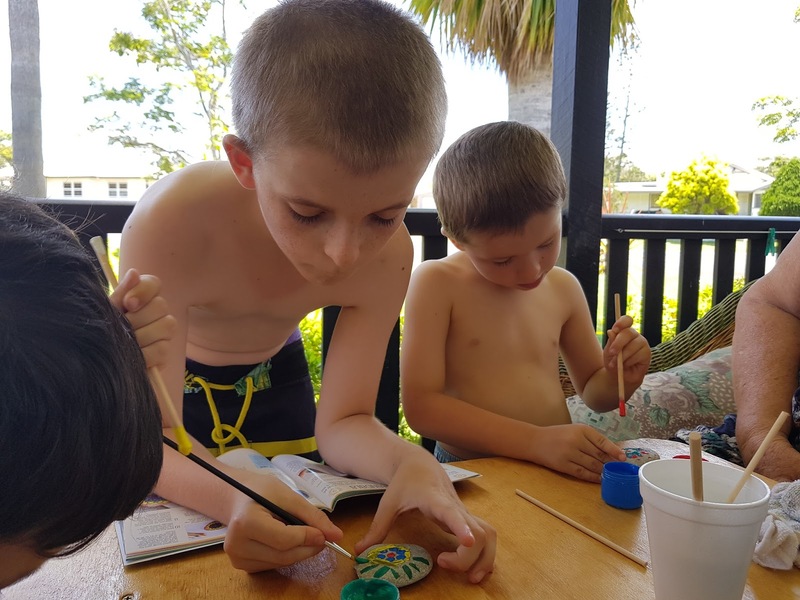 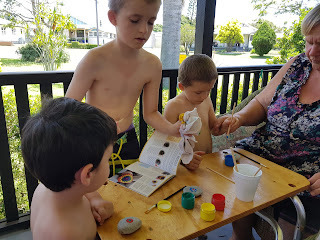 The kids played some board games together and enjoyed ice blocks, then we headed outside to do some Mandela rock painting. 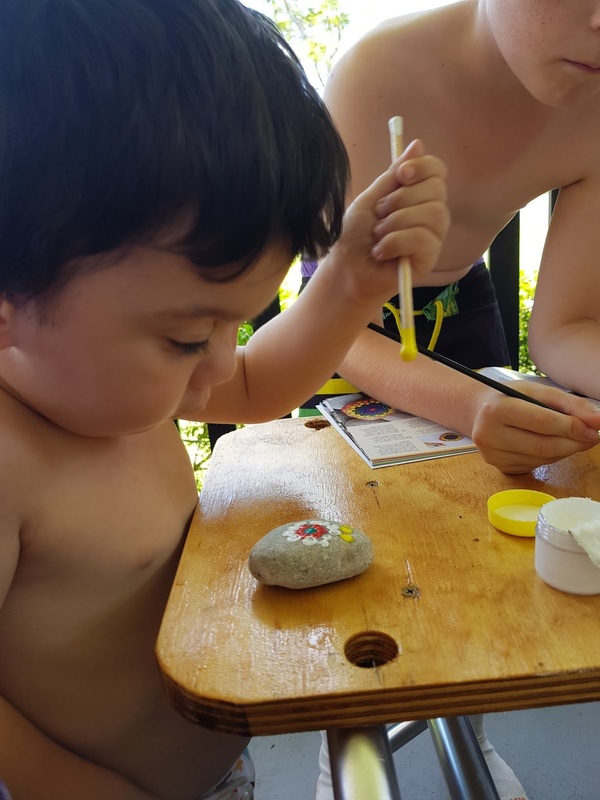 Cohan had received a kit for xmas with paints, brushes / sticks, rocks and book. Everyone looked through the book for ideas, then started painting their rocks. 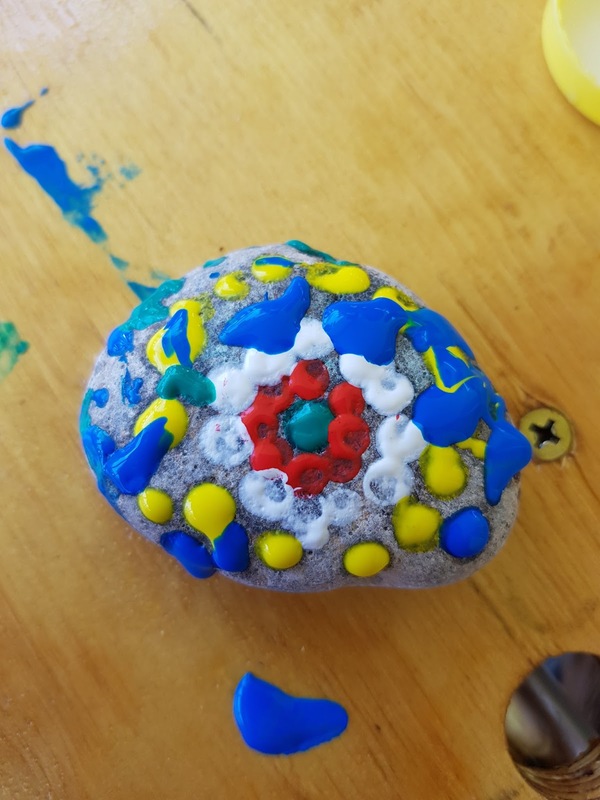 I did the first 3 rounds on Clay's rock to show him, then he did the rest - I'm impressed at how neatlty he did the yellow dots!! 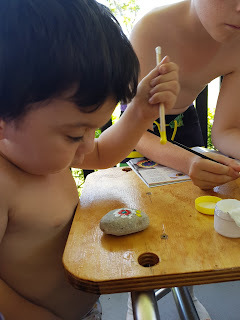 This was a great activitty and Ma ma is going to take the boys hunting for more rocks to paint on the weekend.